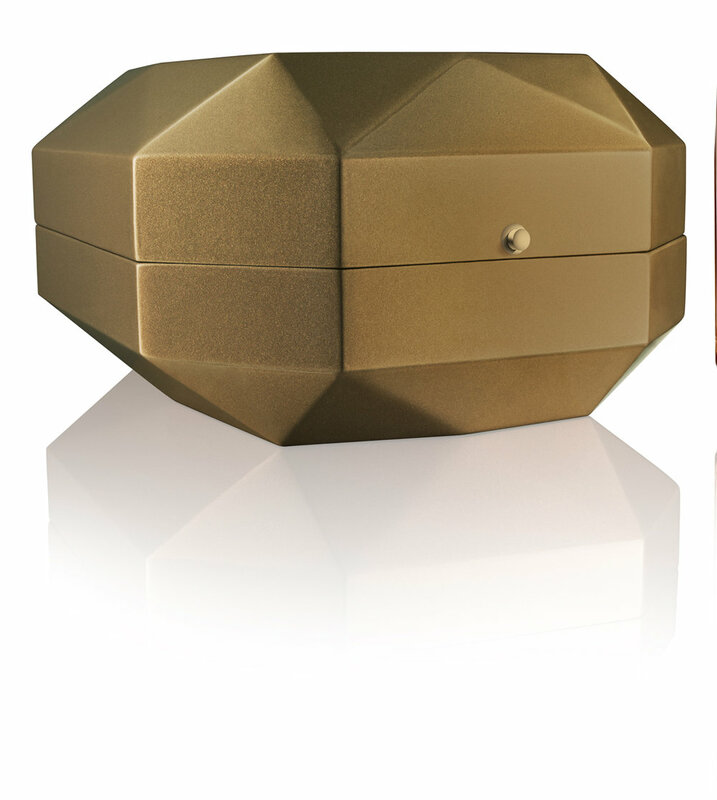 Jewelry Box for Hine 250 Limited Edition Decanter in Collaboration with Baccarat. Photo courtesy Studio Putman. © Hine. 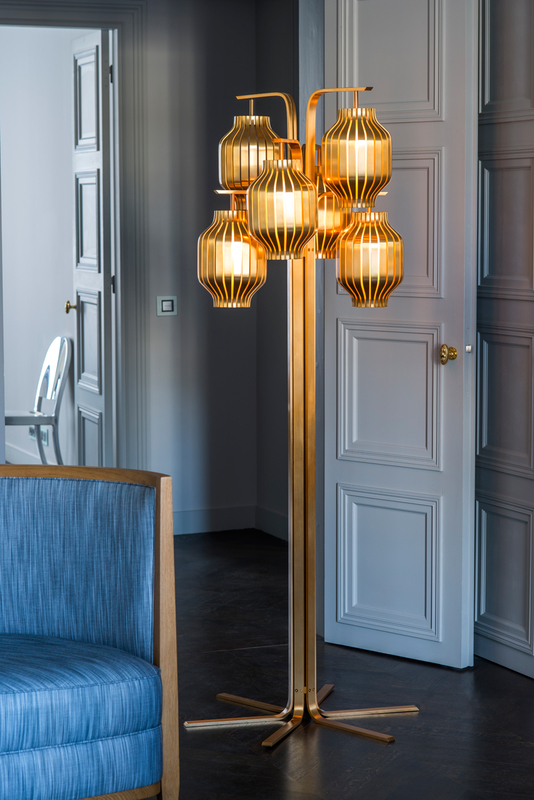 Lamp from Collection Jour de Fete with Charles Paris. Photo Courtesy Studio Putman. © Maison Charles. Nina Ricci l’Air du Temps by Olivia Putman. Photo courtesy Studio Putman. © Nina Ricci. Studio Putman has its own history of reinvention. The studio, which has previously designed silver cutlery and jewelry for Christofle and a champagne bucket for Veuve Clicquot, has reimagined Louis Vuitton’s iconic bags and designed and restructured swank pads for swank people all over the world, now has its sights on more hotels, boutiques, private homes, national spaces, art galleries, and even the aviation sector (Olivia’s mother designed the interiors of the Concorde jet; Olivia designed the LAN/TAM Airlines lounges in South America). French design tradition very often extends its beautiful hands in the products of Studio Putman, and to fully understand, one must be informed: In the days of Paris yore, Georges-Eugène Haussmann—the guy who was called upon by Emperor Napoleon III to, you know, rebuild the city of Paris—tore down the old city and started to build his large, magnificent buildings. Parisian onlookers couldn’t have imagined the city would become what it is today: spaces filled with sprawling parks, large roads, statues, and thousands of lights. The new architecture brought with it innovations to the city and the high-minded sophistication that we now associate it with—furniture and interiors to match. A hundred years later, French-style interiors and furniture have evolved to include the popular “country style,” or the more popular design of clean lines and a mixing of materials. Studio Putman’s original matriarch picked up from there, creating a signature neat, restrained look with subtle and monochromatic colors that continues to thread its way through the company’s aesthetics. “We like to use a mix of natural materials like stone, wood, and leather,” says Olivia. An excellent example is the Sofitel Paris Arc de Triomphe, a grand Hausmannian building in 8tharrondissement of Paris, which reopened last year. It includes other classic Studio Putman looks: half-round chairs, pieces that don’t sacrifice function, and geometrical spaces that look as effortless as they do beautiful. Accents of Yves Klein blue in common spaces add an artistic, elemental touch—also a signature of the Studio. “The design is very Parisian,” Olivia Putman says. “We wanted to create a feeling of being inside a Parisian apartment.” But overall, of course, the design is French: an elegant fusion of history that traces back to medieval times.